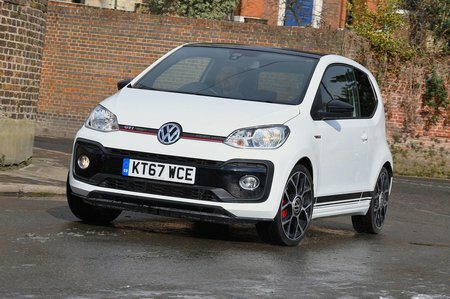 Volkswagen Up GTI Running Costs, MPG, Economy, Reliability, Safety | What Car? With the three and five-door Up GTI undercutting the Renault Twingo GT by a few hundred pounds, the Abarth 595 by a thousand and the Smart Forfour Brabus by several thousand, we reckon it makes sound financial sense – especially as PCP finance deals should also be competitive. Running costs are unlikely to be prohibitive, either. Claimed combined fuel economy is up to 50.4mpg (according to the new WLTP tests, which should be more representative of what you’ll actually achieve than the old NEDC test), while CO2 emissions are as low as 127g/km. For the moment, tax is still calculated on the NEDC CO2 figure, though. On that test, the car managed 110g/km. Not that these figures are of too much concern; we doubt many company car users will opt for an Up GTI. What do you get for you money? A reasonable amount of kit, as it happens, including the infotainment package we detailed earlier, along with air conditioning, heated front seats, electrically adjustable and heated door mirrors, interior ambient lighting, electric front windows and front foglights. And you get the GTI’s bespoke 17in alloy wheels that fully fill the arches, plenty of GTI badging, distinguishing red exterior detailing and tinted windows. 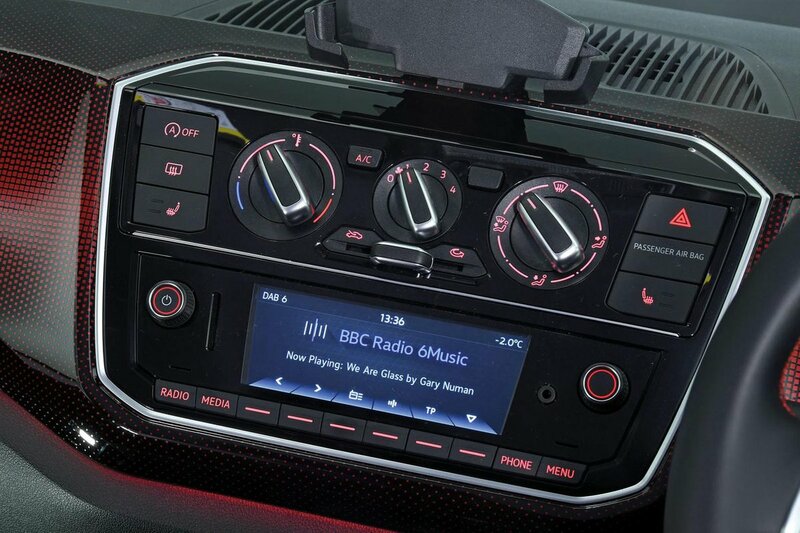 Useful options to consider include climate control and a DAB radio. Volkswagens offer solid reliability, according to our most recent reliability survey, and the Up GTI comes with a three-year/60,000-mile warranty, plus one year’s breakdown cover. That’s comparable with the cover provided by rivals; for example, the Smart Forfour Brabus’s warranty is also for three years, although it doesn’t have a mileage limit. Automatic emergency braking, which applies the brakes if the system detects you’re about to hit the vehicle in front, is available, while other safety tech includes stability control, twin front airbags and side airbags that extend upwards to cover the same area as curtain airbags. There are also Isofix child seat mounting points on the rear seats. It all means the Up GTI achieved the maximum five stars in its Euro NCAP crash test, but it’s worth bearing in mind that was way back in 2011 and the test has become tougher since then. Security experts Thatcham Research awarded the Up GTI four stars out of five for resisting being stolen and three out of five for resisting being broken into. 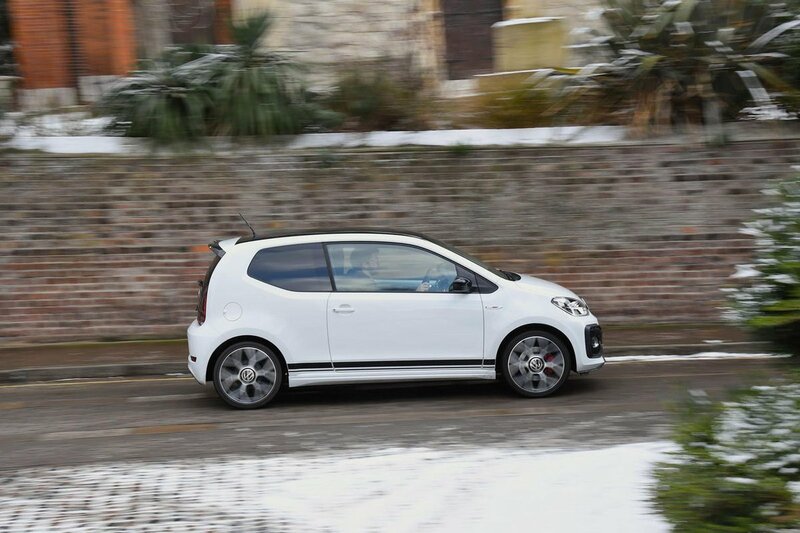 Cracking engine and decent handling make the cheeky Up GTI the best budget hot hatch you can buy.